A couple days after the release of iOS 7.1 we’re starting to learn more about some of the improvements in the latest version of the iPad’s operating system. One of these is a new ‘Manual Control’ method when using Siri – which is said to lead to faster and more accurate results when using it. This is easy to use. Instead of pressing and holding the Home button until Siri pops up and then releasing it, you continue to hold the button until you’re finished speaking. I’ve tried this out a little this morning and Siri does respond a lot faster than before, and the accuracy does seem improved a bit as well. I spotted this via Chris Meinck’s post over at everythingiCafe. Have any of you tried this out with Siri yet? If so, what do you think of the results? iOS 7.1 is out today and you can update your iPad by heading over to Settings -> General -> Software Update. This dot update marks the biggest and bug-fixinest improvement to iOS since the release of iOS 7 last year. In my brief taste of the update thus far, Safari tabs do seem like they stay in memory longer than before. I can get to about six or seven tabs (news sites and blogs) before any one of them has to reload. It also feels like switching between apps is a hair faster than before, which does make a surprising difference. 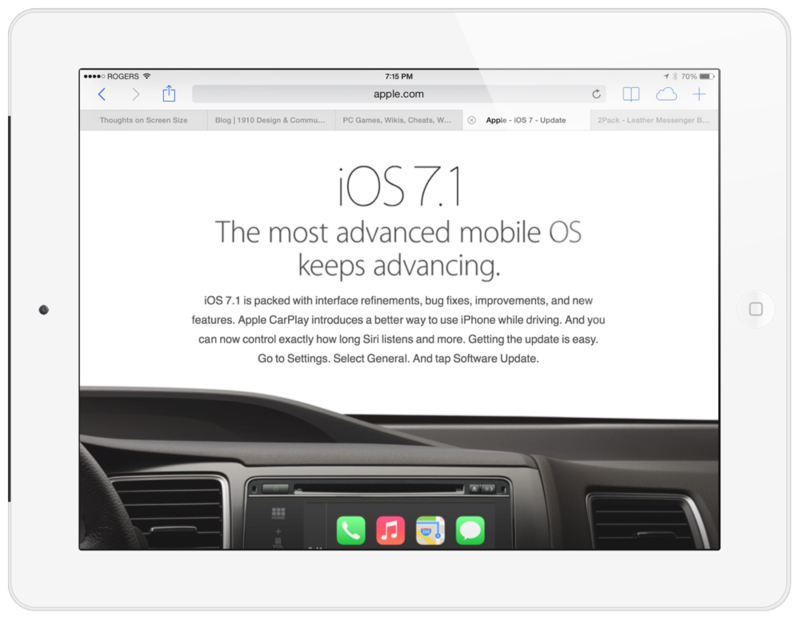 The only headline feature of 7.1 that isn’t available on the iPad is Carplay, which improves hands-free and car control integration … but only on iPhone 5 and up, and then only on certain new 2014 car models. 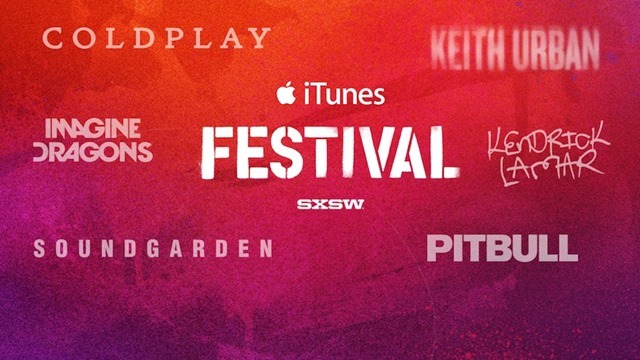 Apple’s first iTunes Festival in the U.S. starts a week from today at SXSW in Austin. Apple is going to stream the performances to iOS devices using an app, but I’ve heard from a little birdie that the app requires iOS 7.1 (which explains why the app isn’t out yet). That means iOS 7.1 should ship any day now. These shows start next Tuesday, March 11, right here in Austin. 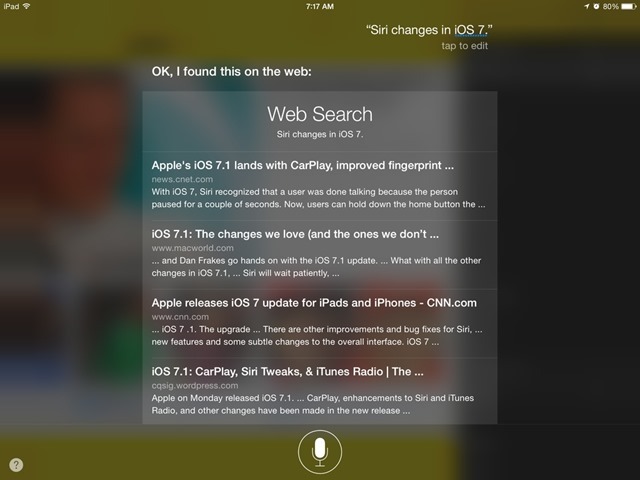 So perhaps a iOS 7.1 release on Friday? iOS 7.1 is rumored to bring fixes for some of the crashing bugs and frequent Springboard resets that have plagued iOS 7 since its release. I don’t fully understand why the iTunes Festival app requires an iOS update, as it has always offered a live stream plus highlights videos in the past as far as I can recall – but I’ll be quite happy if this rumor proves true and the app helps to push out the iOS 7.1 release.